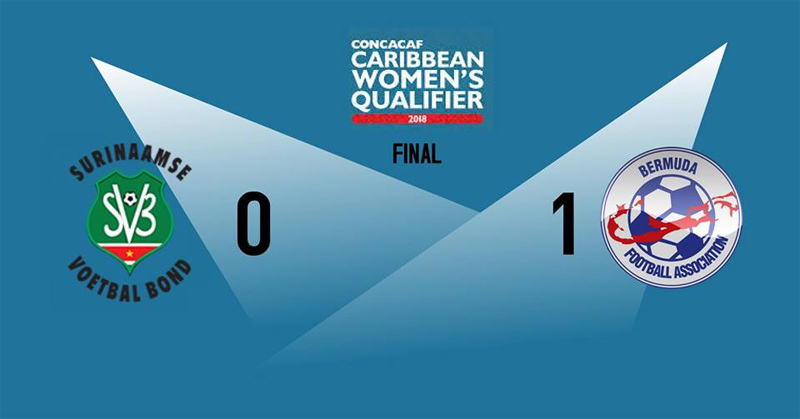 Bermuda went into their final game of the Women’s CONCACAF World Cup Qualifiers level on points with host Guyana in Group E, and came away with a 1 – 0 win over Surinam, sending Bermuda through to the next round. Bermuda had a chance to go in front early in the match when they were awarded a penalty, but it was saved and the rebound was missed. Bermuda’s go ahead goal came in the 40th minute when Akeyla Furbert scored, and Bermuda would take that 1 – 0 lead to the break and hold it for the entire second half, earning the team the right to advance.